After a brief stint in baseball during the 93/94 season, Michael Jordan returned to the court the following year. Coming back with a point to prove, his footwear had to coincide with how MJ was as a player. 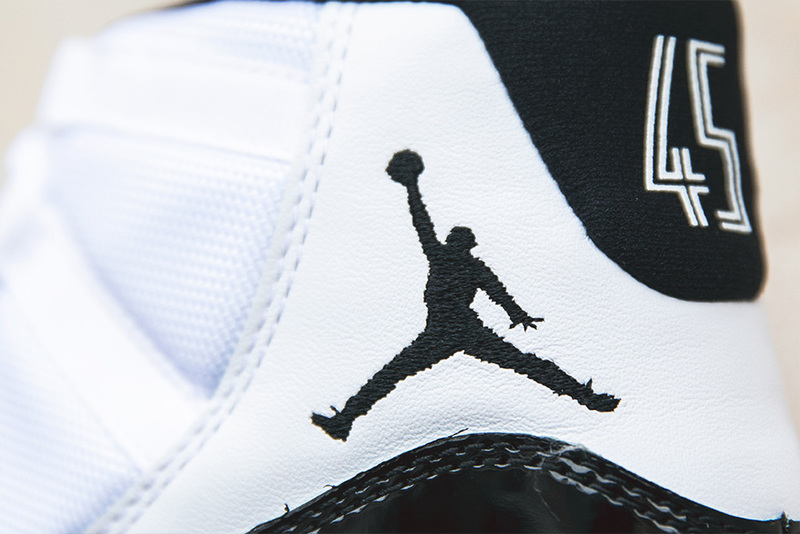 Designed by Tinker Hatfield, the Air Jordan XI was designed like no other in contrast to his previous model. Featuring a ballistic mesh upper that offered a more lighter feel as well as being durable. Further changes came with the use of carbon fibre shank plates on the medial sides of the outsole for more torque when cutting, this was encased in a translucent outsole. 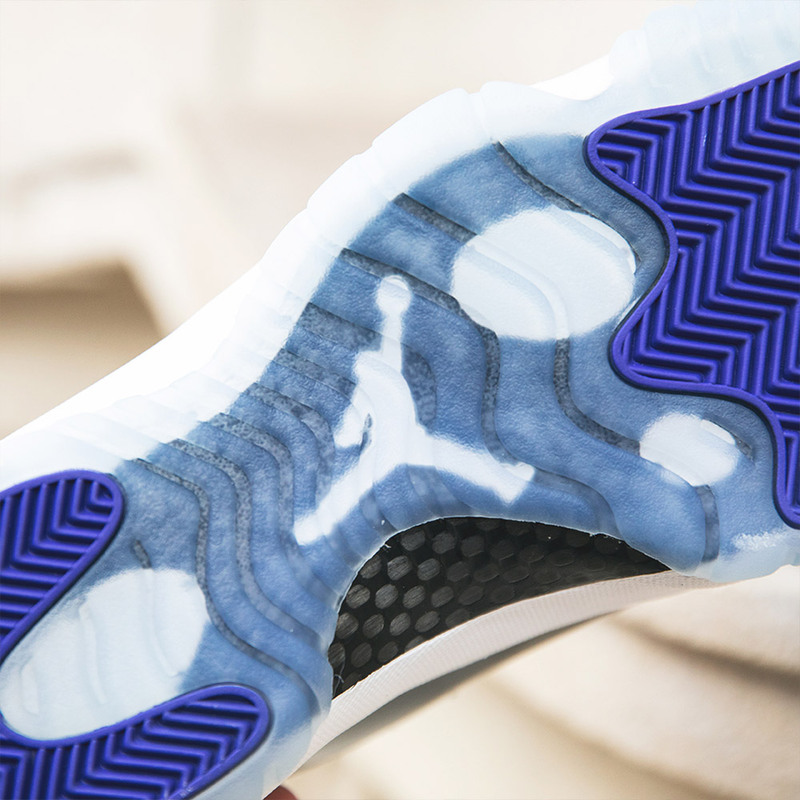 Furthermore, the element that made the Air Jordan XI stand out from then till present is the use of patent leather. This gave the silhouette an informal elegance look in which some used as dress shoes with their suits. 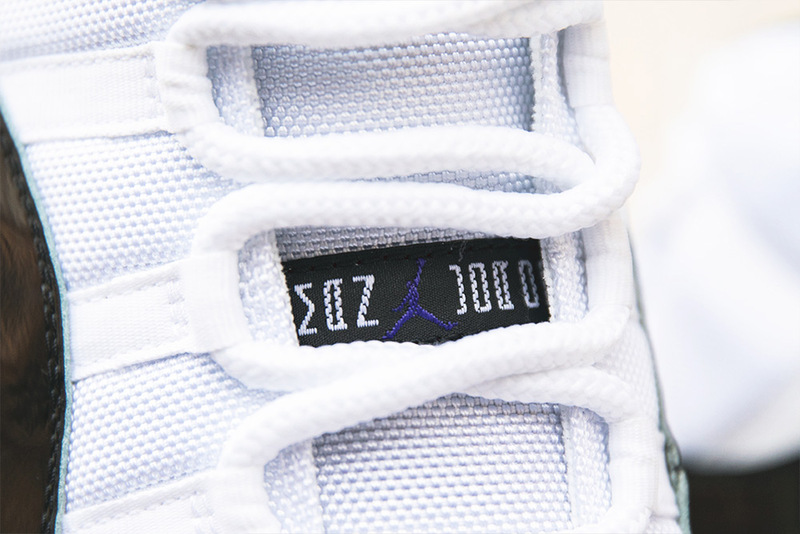 Whilst wearing this model, Jordan had one of his most impressive years to date where he clinched MVP, All-Star MVP and Finals MVP all while en route to securing his fourth championship ring. 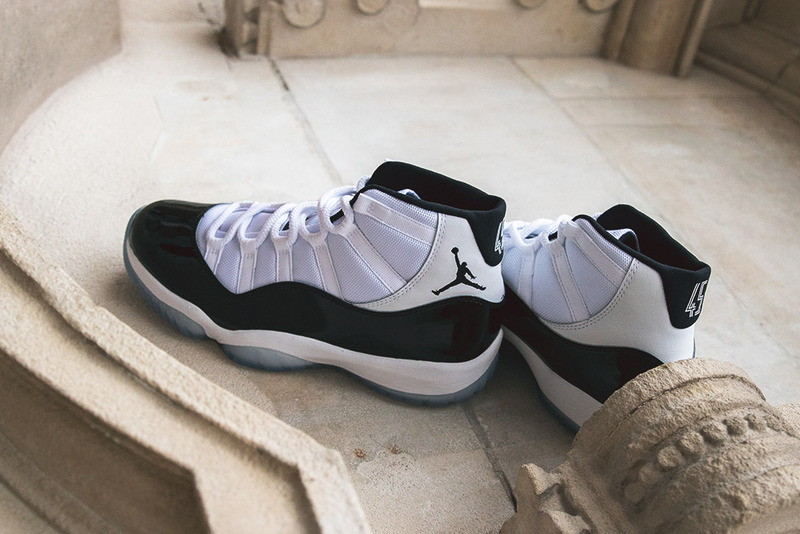 The first colourway was the Air Jordan XI ‘Concord’ which was dressed in mainly white on the upper and midsole respectively. 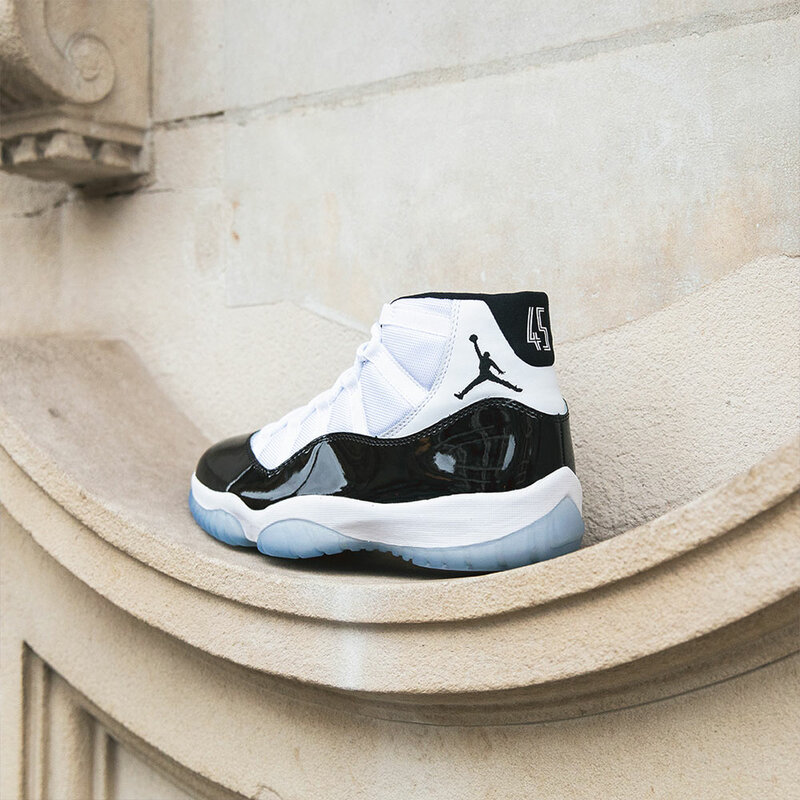 Black featured on the lining, heel, Jumpman on the ankle and on the patent leather as well as a translucent outsole with hits of Dark Concord. 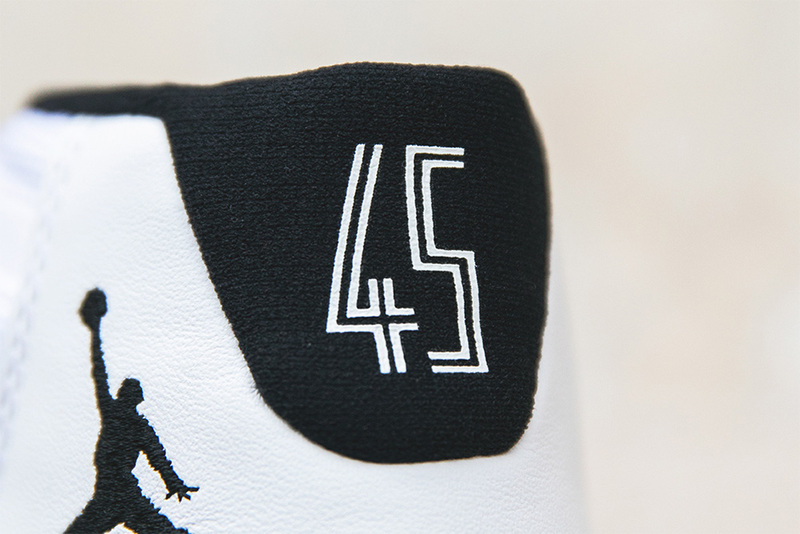 In its original state, MJ’s initial and famous ’23’ number is printed on the heel, however, this time around like the previous retro of the AJXI ‘Space Jam’ the number ’45’ is present. This was to honour the number he wore as a kid in baseball and coincided his return from that sport back to basketball. 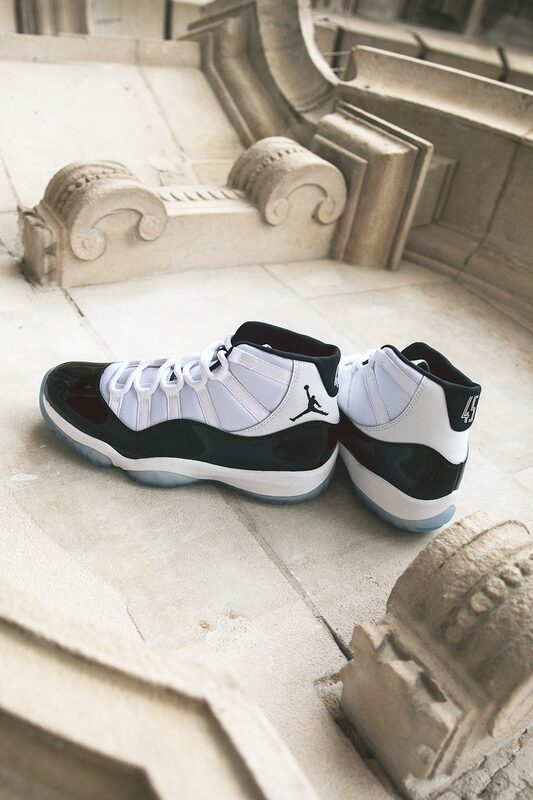 The Air Jordan XI ‘Concord’ | Now available in-store and online. 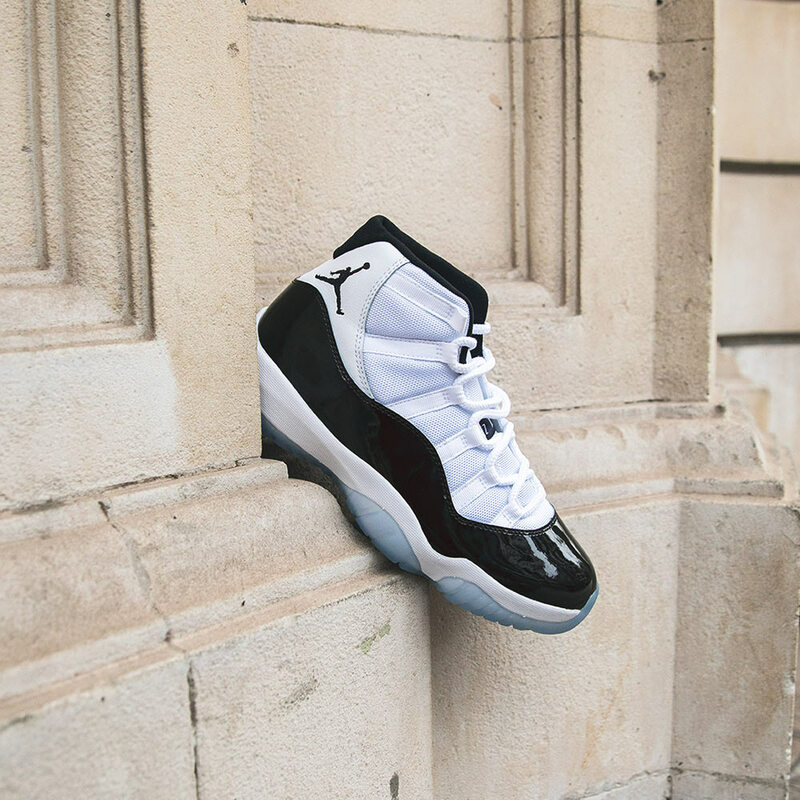 Sizes range from UK3 – UK15 (including half sizes), priced at £170.